Almost everyone experiences heartburn. It is characterized by the feeling of burning chest pain caused by stomach acid regurgitating up into the esophagus. While most people can avoid getting heartburn symptoms by avoiding foods that trigger it, those who suffer from a more severe form of the condition require the use of gastric acid-reducing medication. Proton pump inhibitors (PPIs) are powerful drugs used in people suffering from excessive acid reflux. An estimated 10 percent of the general population use PPIs and a new study suggest that these drugs could increase their risk of chronic liver disease. “Our stomachs produce gastric acid to kill ingested microbes, and taking a medication to suppress gastric acid secretion can change the composition of the gut microbiome. Since we found previously that the gut microbiome [the communities of bacteria and other microbes living there] can influence liver disease risk, we wondered what effect gastric acid suppression might have on the progression of chronic liver disease. We found that the absence of gastric acid promotes growth of Enterococcus bacteria in the intestines and translocation to the liver, where they exacerbate inflammation and worsen chronic liver disease,” said senior author Bernd Schnabl, MD, associate professor of gastroenterology at UC San Diego School of Medicine. The liver is one of the most important organs in the body and serves several functions. Liver cirrhosis is the 12th leading causing of death worldwide, with the number of people dying from the condition increasing. This is thought to be due to the ever-increasing obesity rates, however, approximately half of all cirrhosis-associated deaths are related to alcohol consumption. 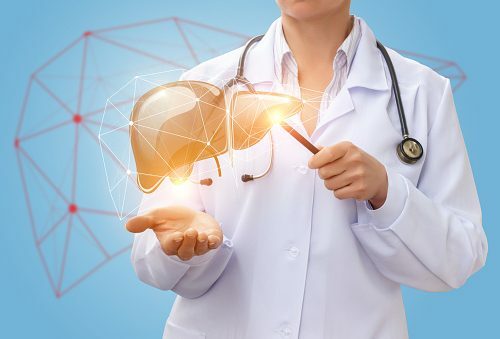 The team of researchers used mouse models to determine the effect that gastric acid suppression had on the progression of chronic liver disease. The mice used were mimicked to have common liver conditions that affect humans, including alcoholic liver disease, non-alcoholic fatty liver disease (NAFLD), and steatohepatitis (NASH). A commonly prescribed PPI named omeprazole was used in the study to block gastric acid production as well as blocking its production through genetic engineering. enterococcus species of bacteria. This change promoted liver inflammation and liver injury, which in turn led to the progression of the three aforementioned types of liver disease. Further studies found a link between the use of PPIs and alcoholic liver disease among people who abuse alcohol. PPI users had increased stool concentrations of Enterococcus. Additionally, it was discovered that those who chronically abused alcohol were 8.3 percent higher than those who actively use PPIs compared to those who never used the acid-blocking medications. “Although obesity and alcohol use predispose a person to acid reflux requiring antacid medication, many patients with chronic liver disease take gastric acid suppressive medications without appropriate indication. 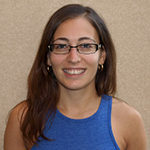 We believe clinicians should consider withholding medications that suppress gastric acid unless there is a strong medical indication,” Schnabl said.